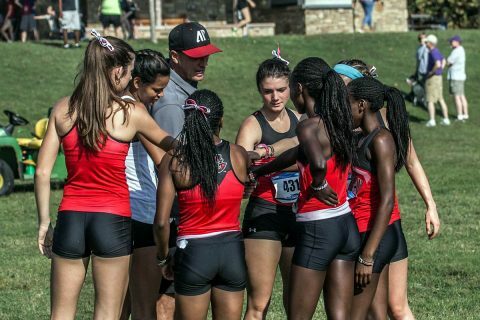 The Govs follow that with back-to-back in-state meets, first traveling to Nashville for the Vanderbilt Invite (September 16th) before hosting the annual APSU Invitational, September 22nd, which is scheduled for a return to its Hilldale Family Life Center-adjacent location after moving to Liberty Park last year. That will be followed by back-to-back meets in Kentucky, beginning with the annually enormous Louisville Invitational, September 27th and followed by a more local setting October 5th at the Fast Cats Classic in Owensboro, hosted by Kentucky Wesleyan. At October’s midway-point, the Govs travel into Indiana for the regular season’s final meet, the Evansville Invitational (October 13th) before taking a week off in advance of the 2018 Ohio Valley Conference Cross Country Championships, October 27th, in Cape Girardeau, Missouri. Following that, a select group of student-athletes will compete in the 2018 NCAA South Regional, November 9th, in Tallahassee, Florida.